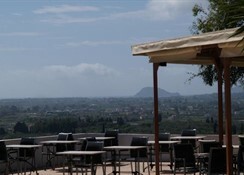 Zante View Studios offers self-catering accommodation in the east of the Greek island of Zante. 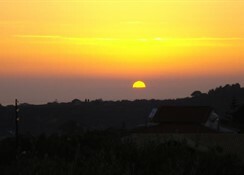 Situated beside the Ionian Sea the climate is ideal for olive trees, visiting the beach and relaxing in the summer sun! 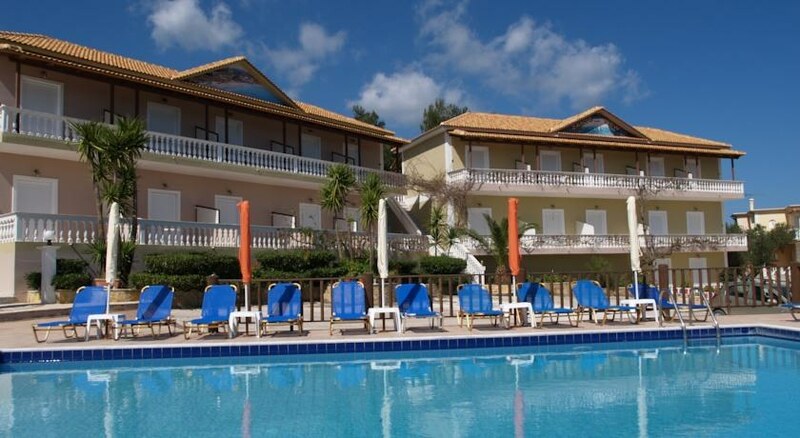 Studios at Zante View are all self-catering and come in a variety of sizes suited to 2 to 4 adults. The style of the studios is an attractive combination of bright colours with dark wood furnishings that serves to remind you that you are on holiday in the Mediterranean! 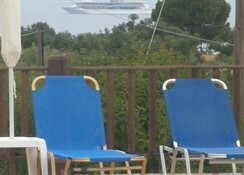 Rooms also come equipped with satellite TV and a kitchenette with a fridge and oven. Air conditioning is also included. If you need to stay plugged into the worldwide web, you¿ll find that free Wi-Fi is provided throughout the complex along with the above. Other facilities available within the studio complex include currency exchange, a children¿s playground and breakfast delivered to your room.